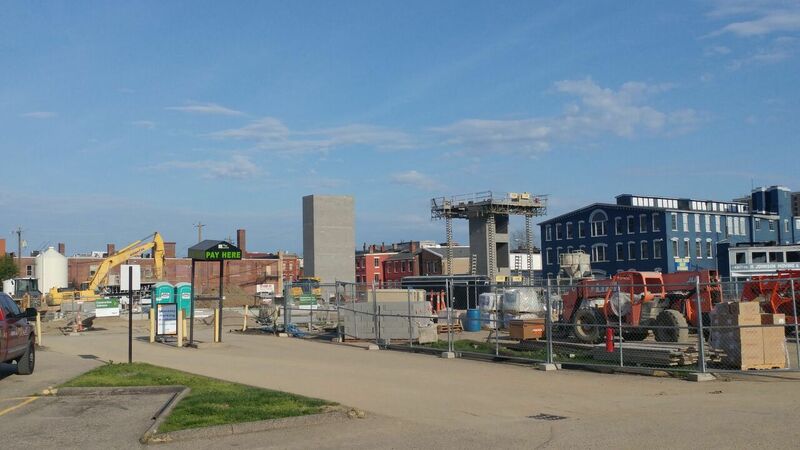 At the corner of Eight and Washington Streets in downtown Covington, two brick towers are emerging from the ground, the first real visual of what's to come: a sprawling residential building that will stretch across the entire block of Washington to Pike Street. Across Washington, atop a parking lot that long-served downtown workers, the second phase will eventually begin, but the plans have recently expanded, and now, before new buildings go up, some old ones are going to come down. One of the buildings, previously owned by Steffen's Rental, made headlines when bricks fell from the top of the facade and landed on a group of school children and their adult chaperones who were visiting downtown shelters. One woman was left unable to walk. Steffen's has not reopened its Pike Street location since and has been actively searching for a new location. The buildings were sold or will be sold to an LLC affiliated with NorthPointe, the Cincinnati-based developers of Duveneck Square, the largest residential project underway in the city, one that promises hundreds of new residences and thousands of square feet of commercial space. On Monday, the City of Covington's urban design review board gave its blessing for NorthPointe to raze the 19th century commercial buildings. 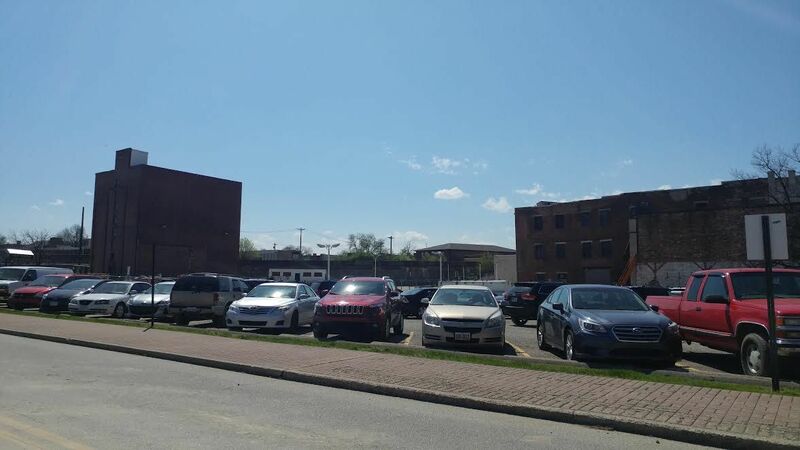 A new development deal between NorthPointe and the City of Covington was approved by the city commission last week, and that allowed for the UDRB to permit the demolitions, contingent upon the filing of historical records of the buildings with the Commonwealth of Kentucky. The affected buildings are 117-119, 121-123, 125, 129-133, and 137-139 West Pike Street. The LLC also purchased the tower in the rear of Steffen's, which sits on Eighth Street near the railroad tracks. It was not proposed for demolition and newly created renderings for the expanded project show the tower still standing but what it would be used for, if anything, was not clear. NorthPointe's project manager was not able to be reached by telephone and did not respond to emails or subsequent voicemails. The investment is substantial and a packet presented to the City of Covington suggests that the expanded phase could be between $15 and $50 million. 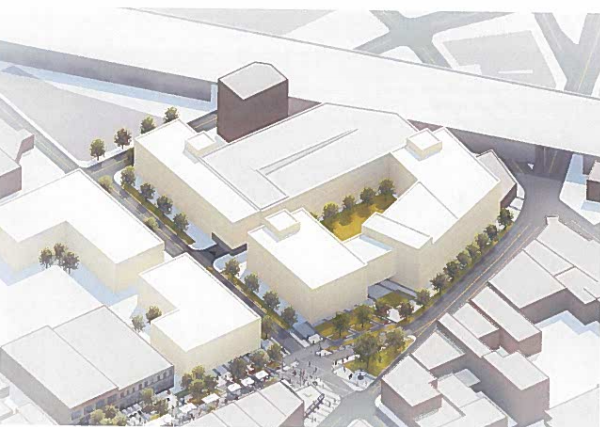 The expanded second phase could also include a parking garage with approximately 500 spaces.